Intel's spanking new high-capacity Optane SSD is cool, but drives from other storage vendors based on the 3D Xpoint technology could be coming later this year. Micron will start shipping its 3D Xpoint memory technology -- branded QuantX -- later this year, which will go into SSDs offered by storage makers. The company made that announcement during an earnings call on Friday. Intel and Micron co-developed 3D Xpoint. Intel says Optane is significantly faster and could replace conventional SSDs and DRAM in the coming years. But unlike Intel, Micron is not interested in making its own Optane-like storage. The company is licensing its 3D Xpoint technology to other storage makers. 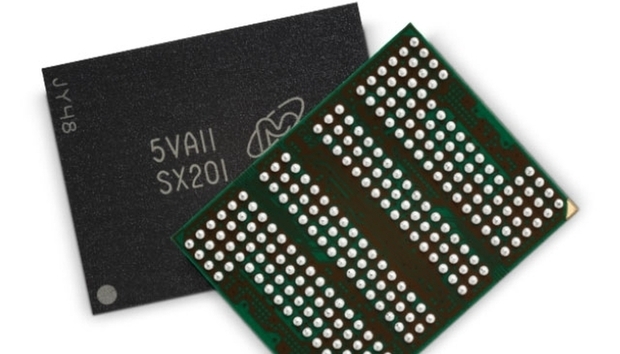 Micron's QuantX will also be available the form of DDR-style memory, the company has said. It's not yet known which storage makers will offer SSDs based on QuantX. Micron did not respond to requests for comment. But the SSDs will be targeted at enterprises, much like Intel's first large capacity SSD called Optane DC P4800X SSD, which started shipping last week. The 375GB SSD is priced at $1,520. Internal benchmarks showed the Optane SSD up to eight times faster in random read and write than conventional SSDs. Intel initially hyped the 3D Xpoint technology being 1,000 times faster than conventional NAND flash, but the company later clarified that applies only at the cell level, not to SSD media like Optane. Micron has said QuantX-based SSDs would have capacities up to 1.4TB. Those drives would plug into PCI-Express 3.0/NVMe slots.